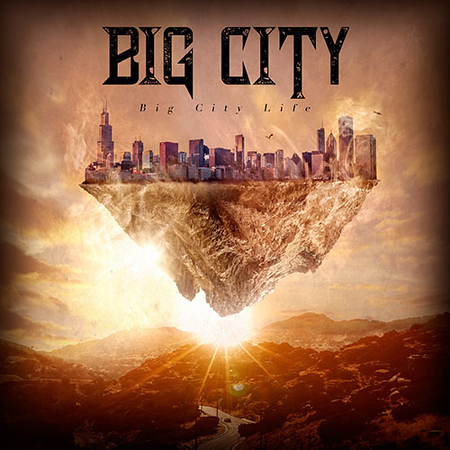 “Big City Life” is the second album from Norwegian band Big City and it was released on 22nd June by Rock of Angels Records (ROAR) as a double CD along with their debut album “Wintersleep”. The band can trace its roots back about ten years and it features members from other Norwegian bands such as Scariot, Satyricon and Withem. I included the track “Running For Your Life” from the “Big City Life” album on the Friday NI Rocks Show on 22nd June. Big City was formed by guitarist Daniel Olaisen who has performed with bands such as Scariot, Blood Red Throne and Satyricon. He is joined by vocalist Jan Le Brandt (Memoria Avenue, Nortquake), guitarist Frank Ørkand (Scariot), bass player Miguel Pereira (Withem) and drummer Frank Nordeng Røe (Withem, Maraton). The debut album “Wintersleep” was released digitally in 2013 via Mayhem Music but makes its first physical appearance alongside “Big City Life”. With 10 tracks on each album, that’s a lot of great tunes.